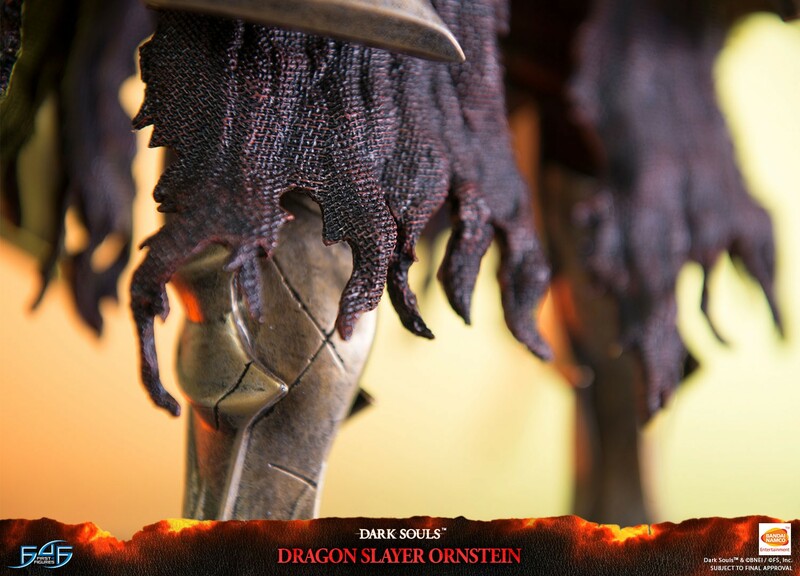 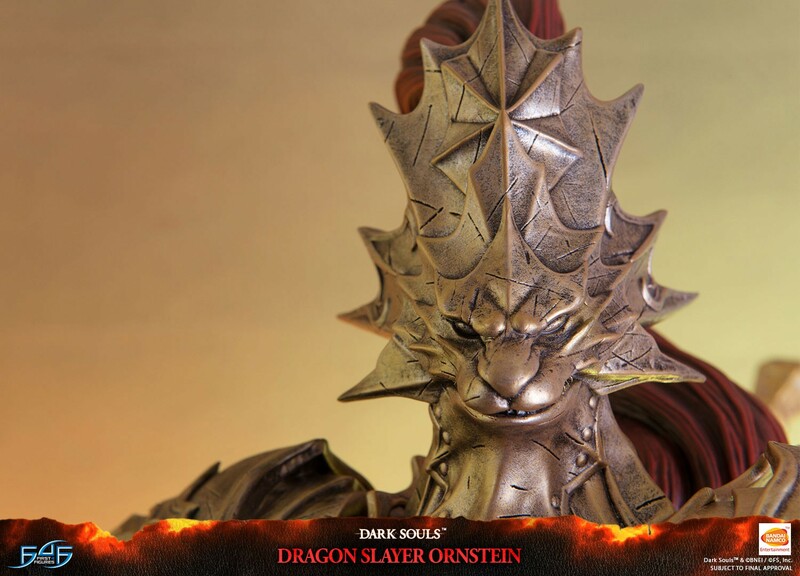 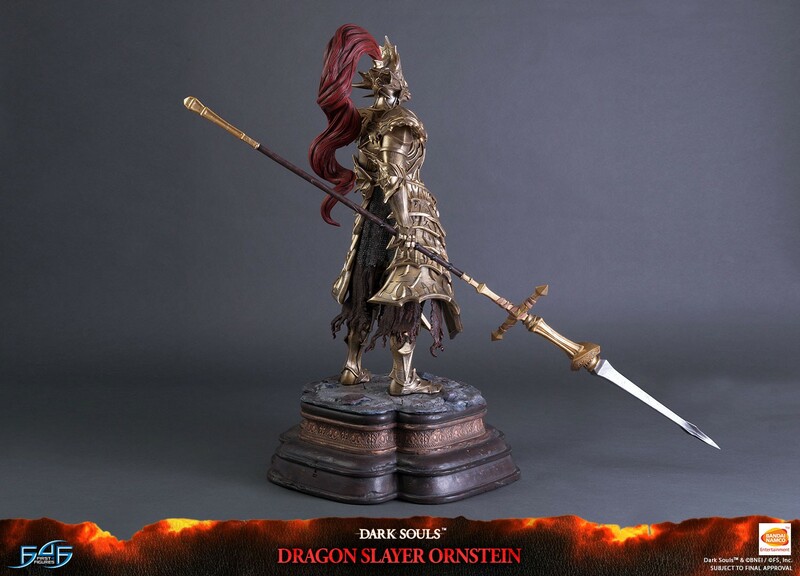 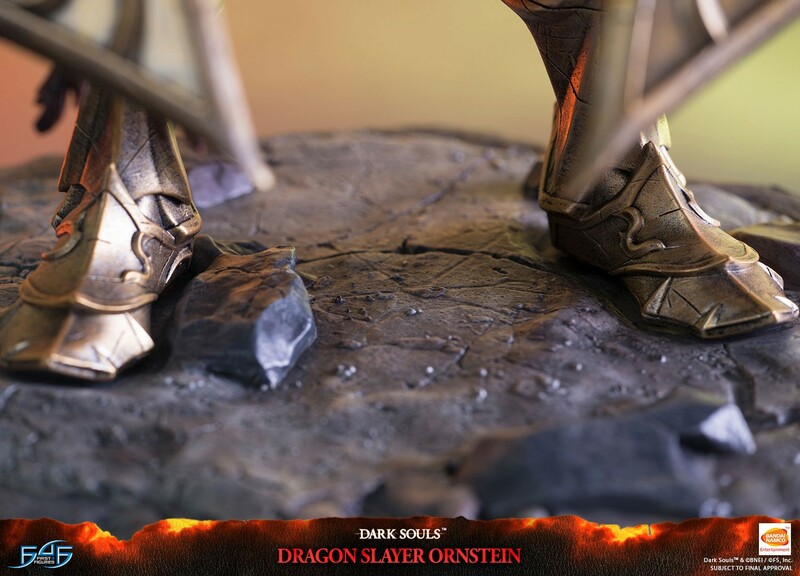 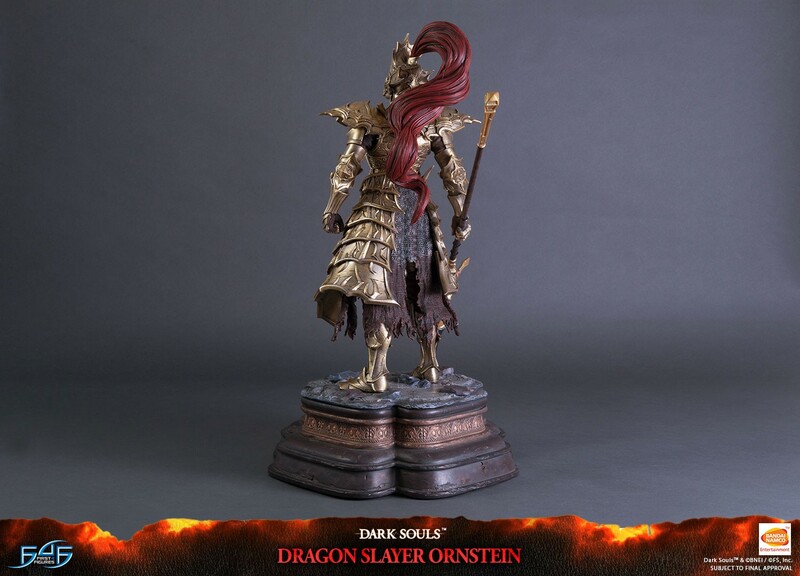 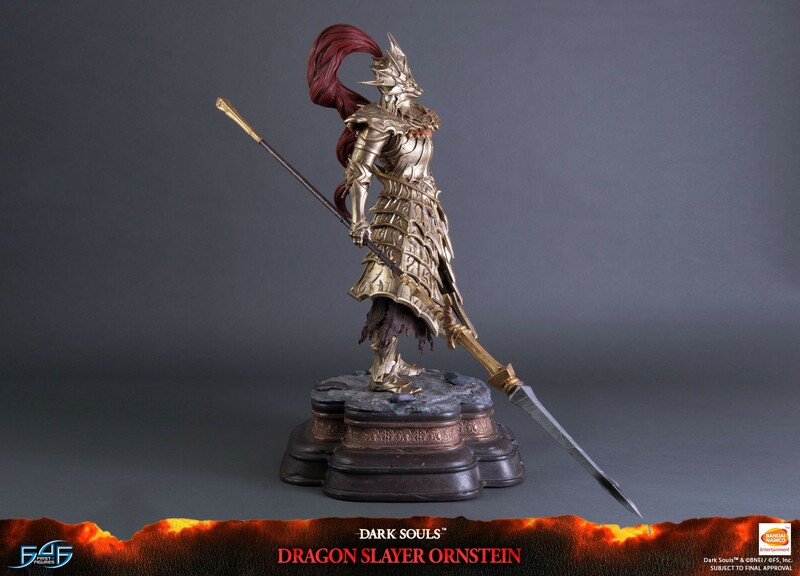 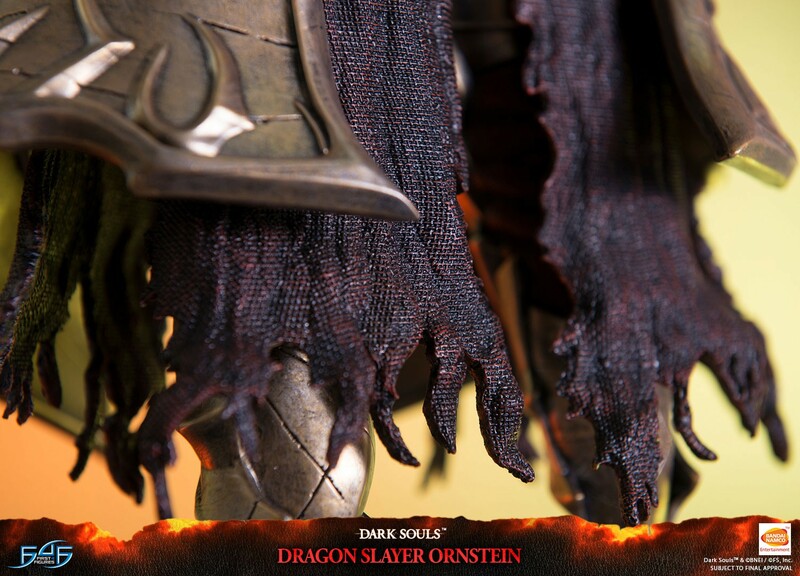 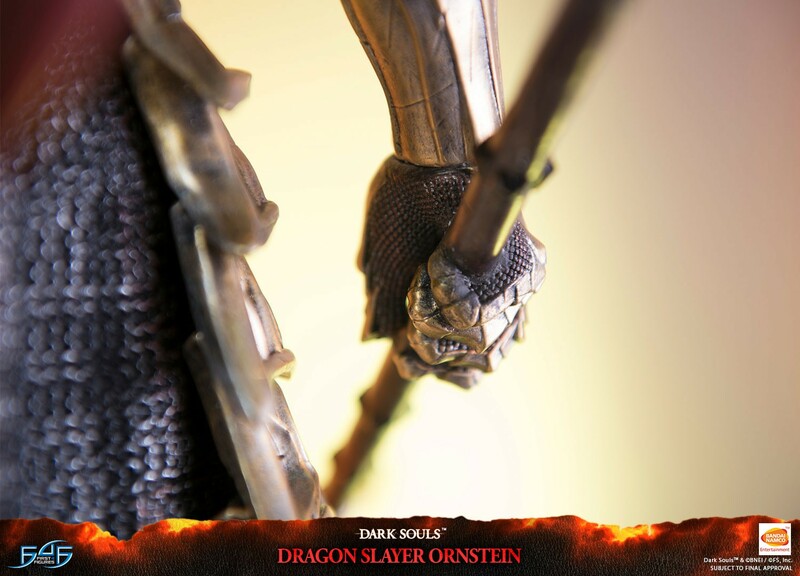 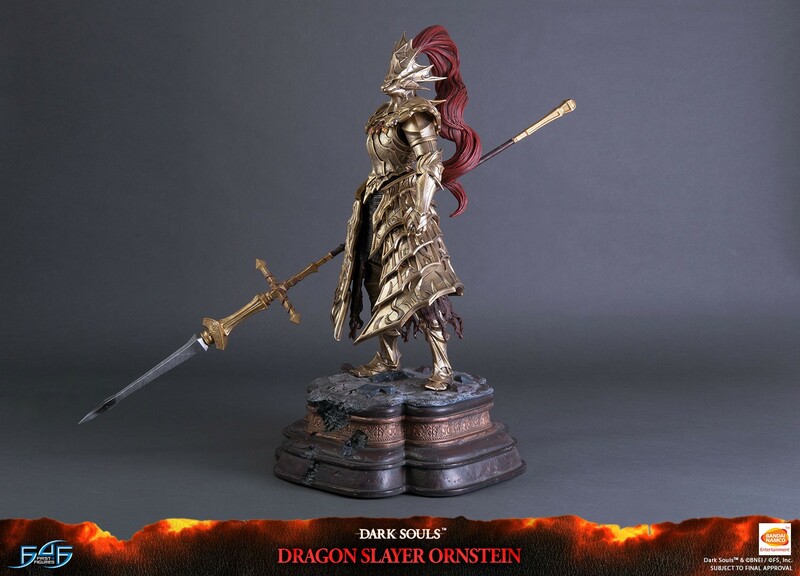 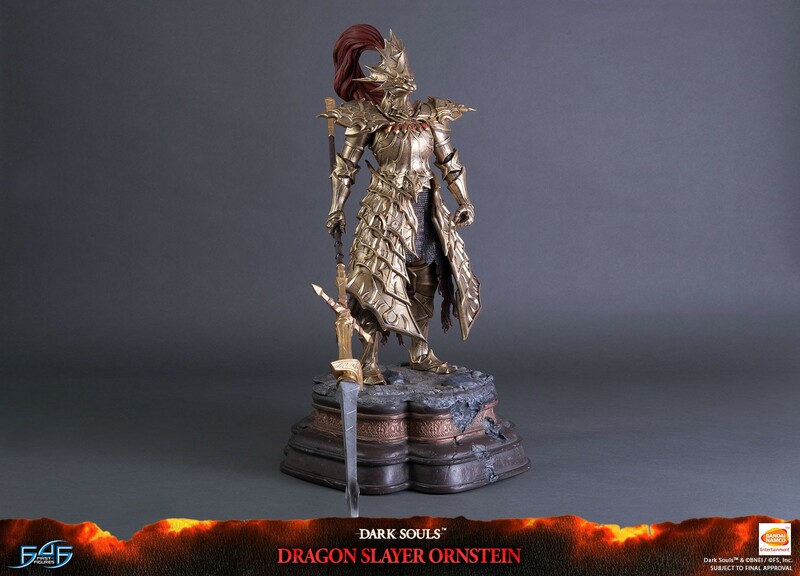 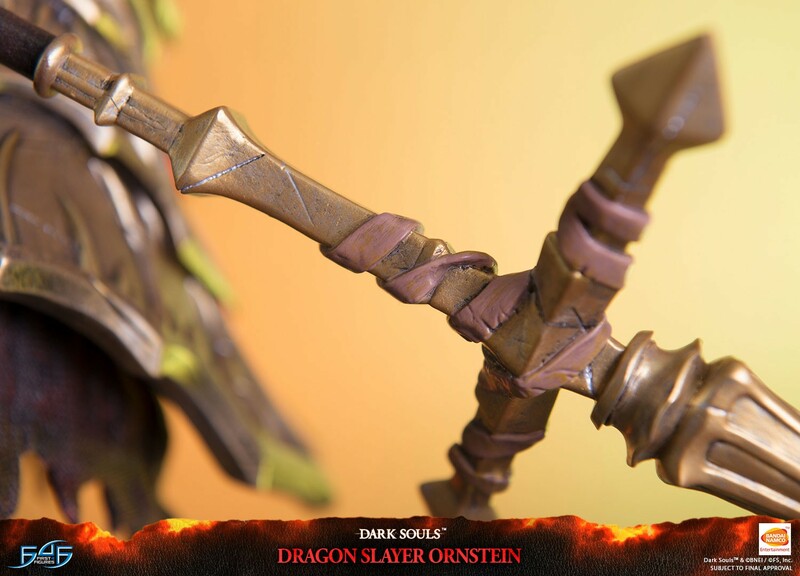 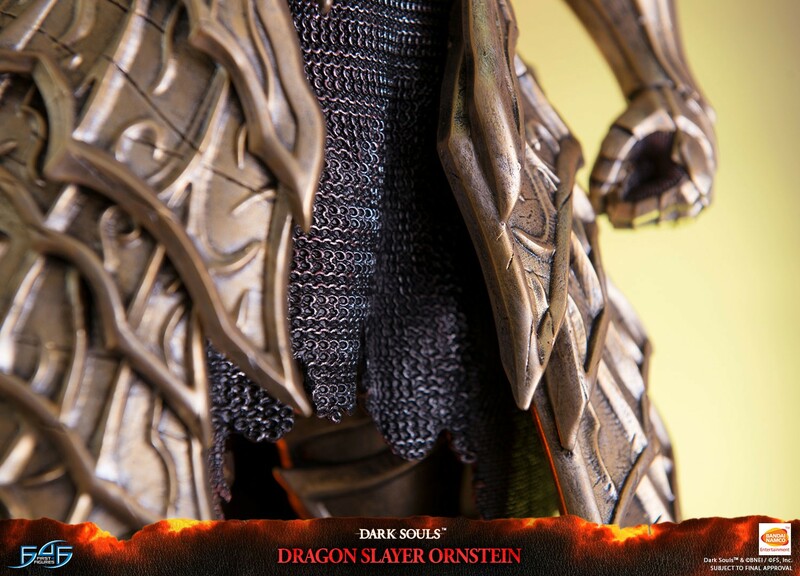 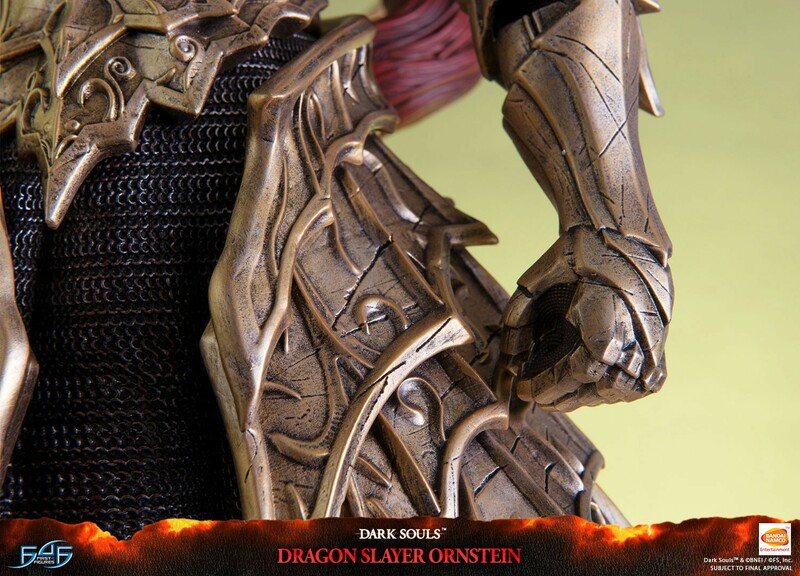 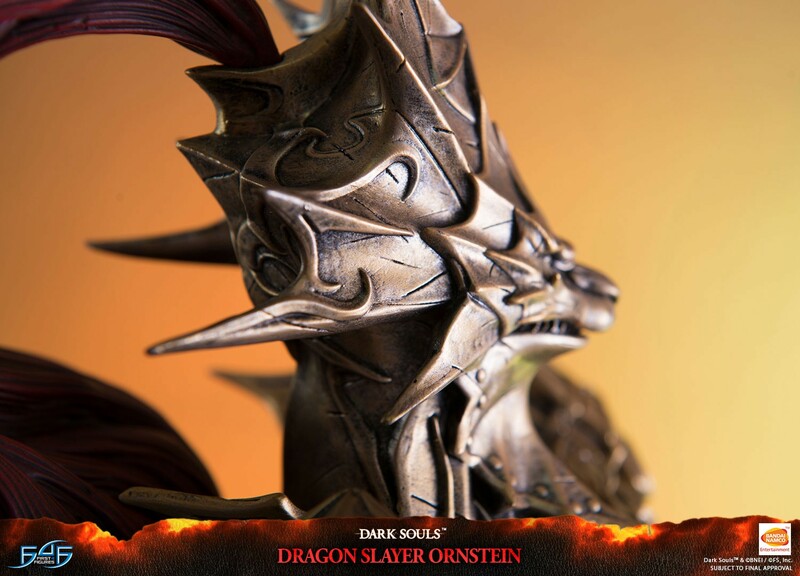 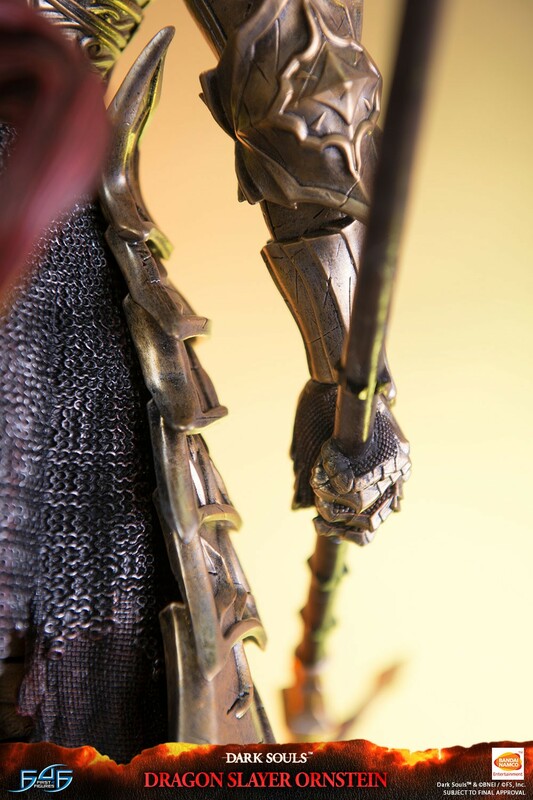 First 4 Figures is proud to present the highly anticipated Dark Souls - Dragon Slayer Ornstein. 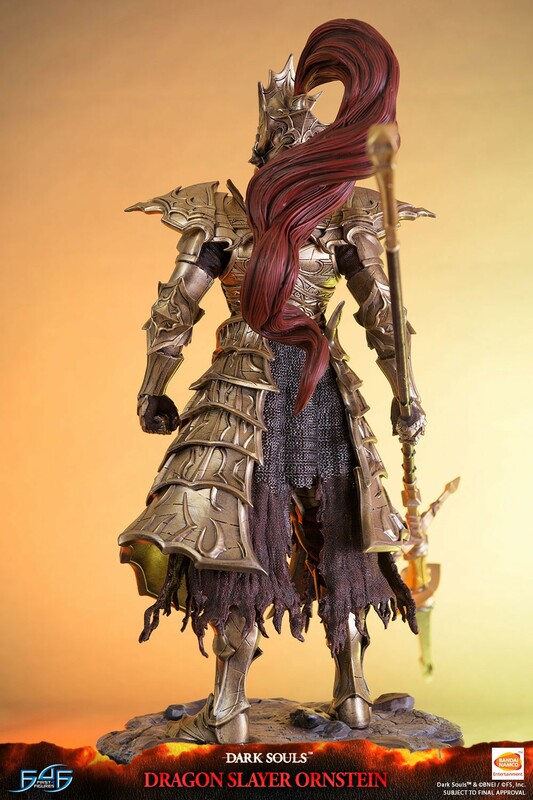 One of Lord Gwyn's trusted knights, Ornstein was believed to be the captain of the Four Knights of Gwyn. 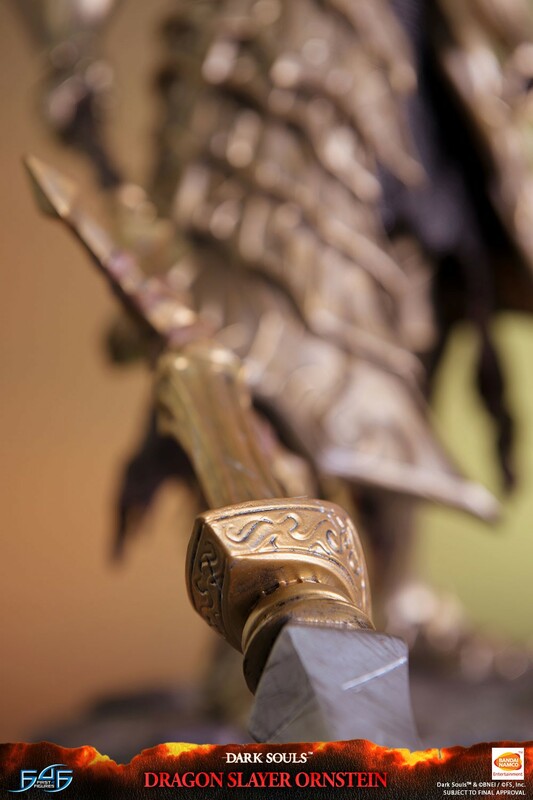 With being the captain, he was granted a special soul and the Leo Ring by the Lord of Sunlight. 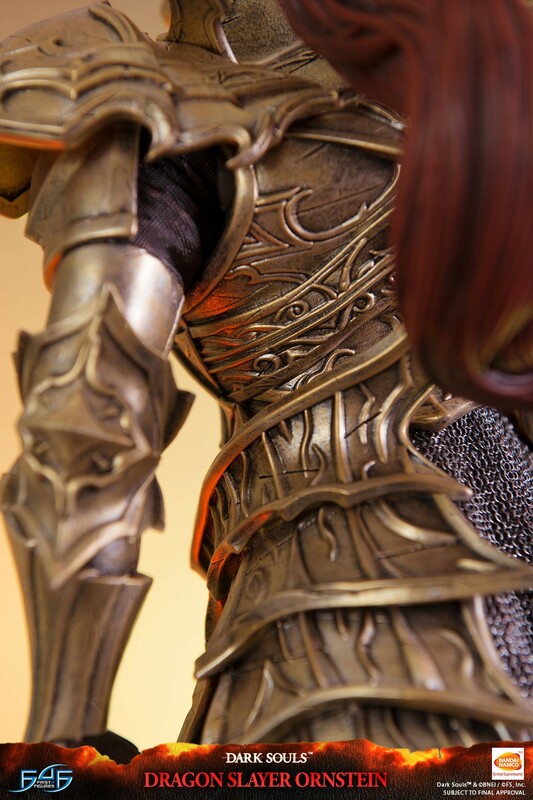 Donning golden armor that was permeated with the power of lightning, it was made to resemble a lion. 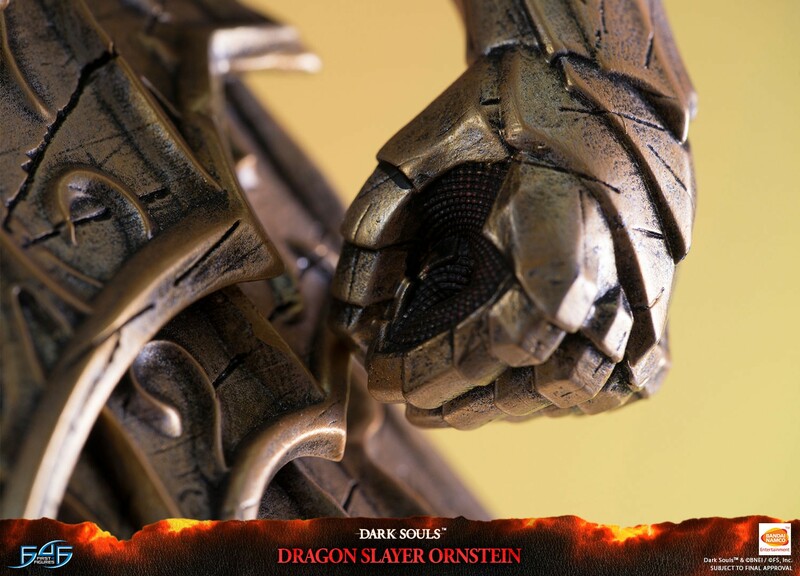 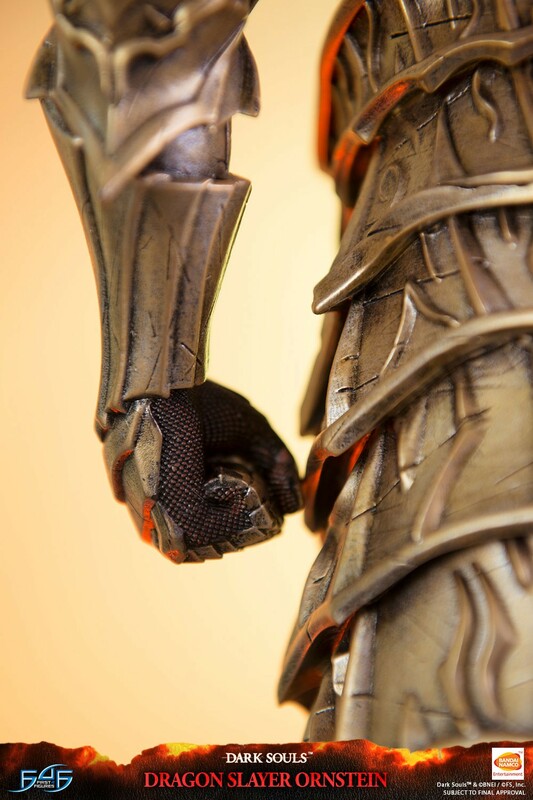 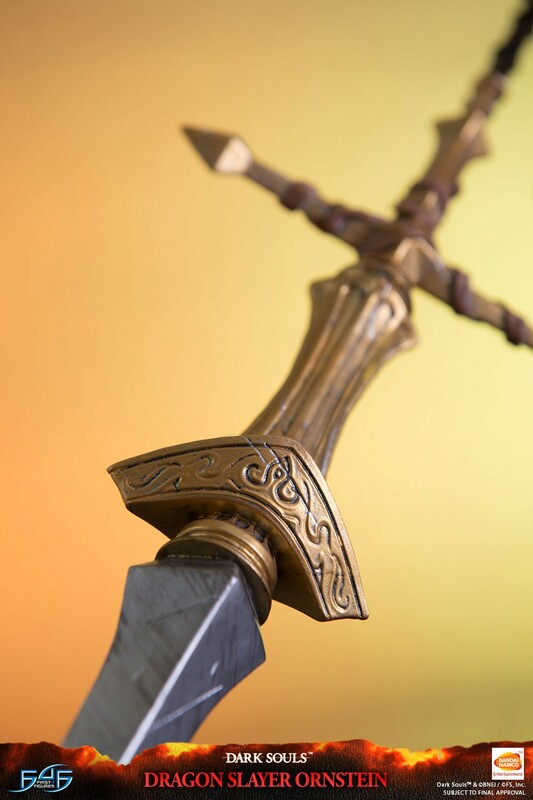 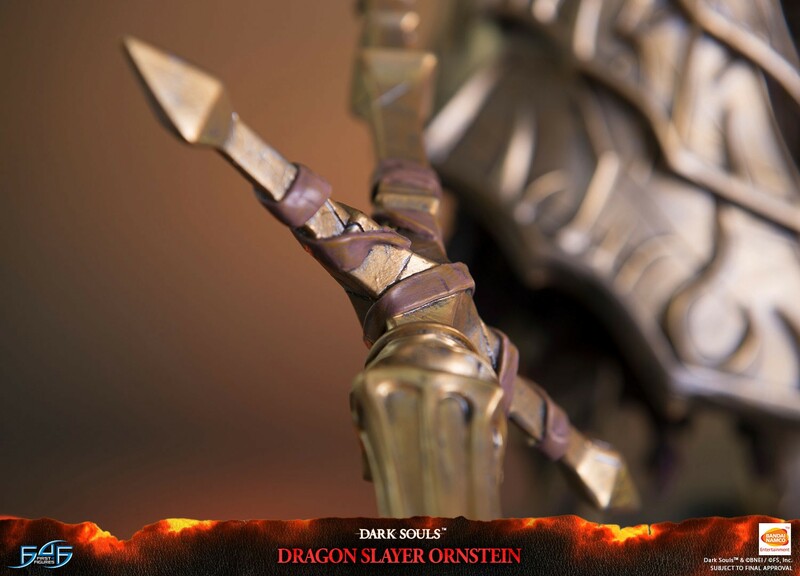 It was said that Ornstein's spear could slice a boulder in two. 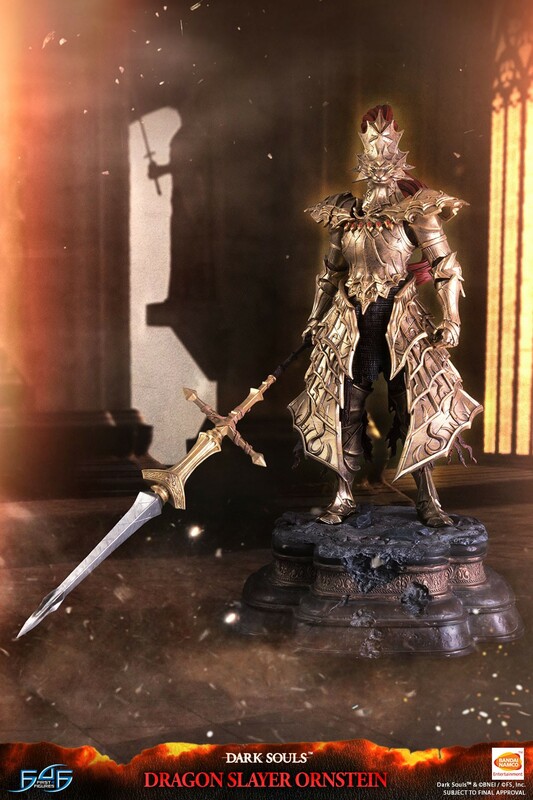 Using his spear, Ornstein was left to guard the cathedral at Anor Londo alongside Executioner Smough after the gods fled. 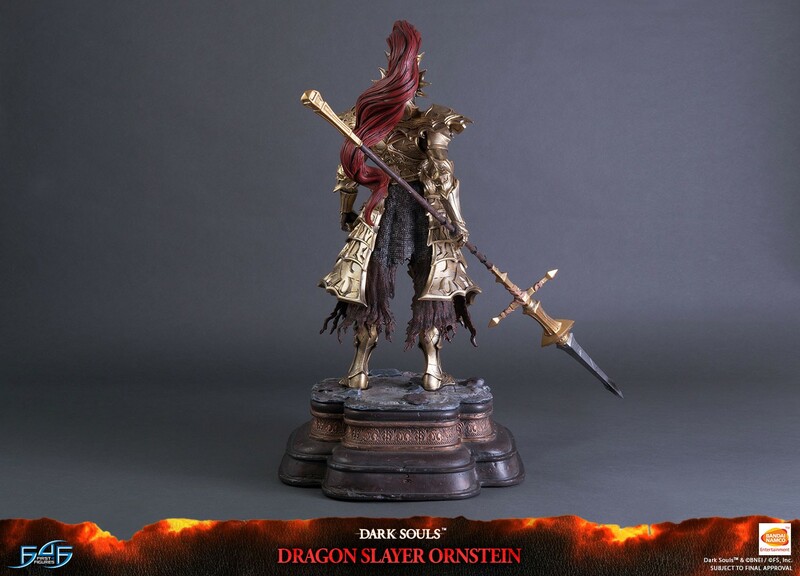 At some point in time, Ornstein left his guarding duty at the cathedral to search for the Nameless King. 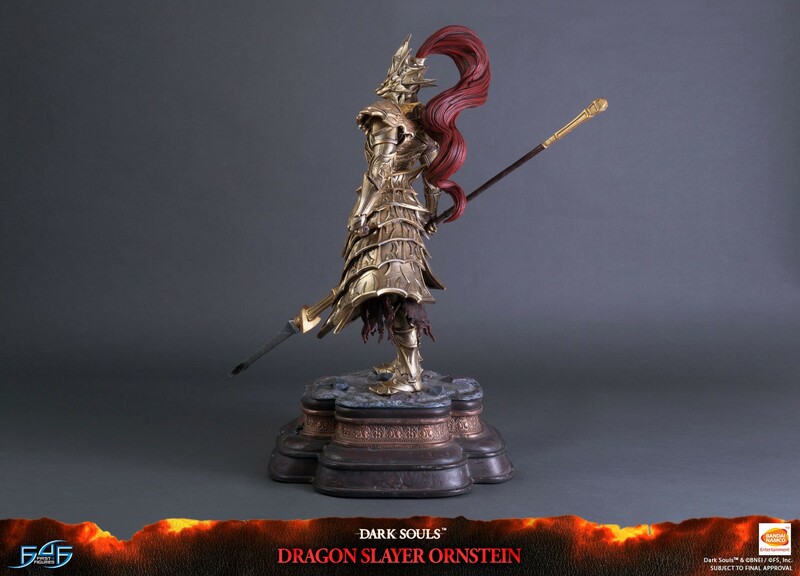 It is not certain how Ornstein survived his battle against the Chosen Undead, but he eventually made his way to Archdragon Peak which is where the Nameless King is said to be. 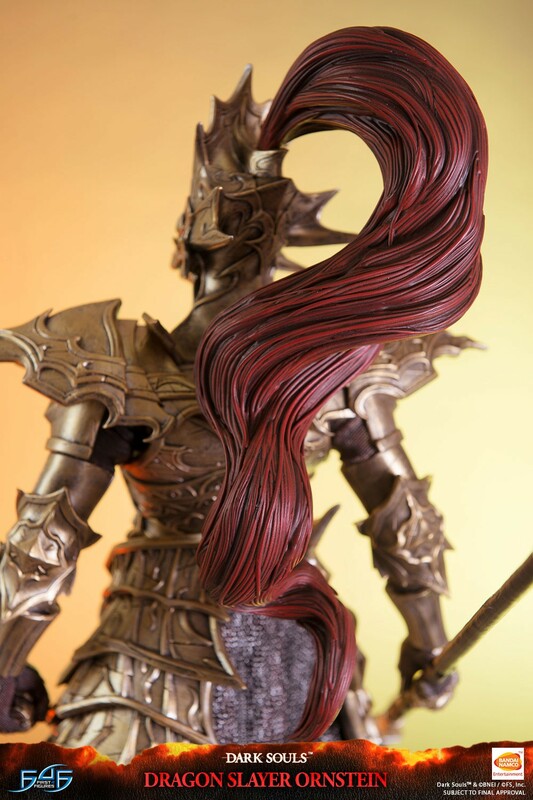 However, Ornstein's fate and the results of his search remains unknown. 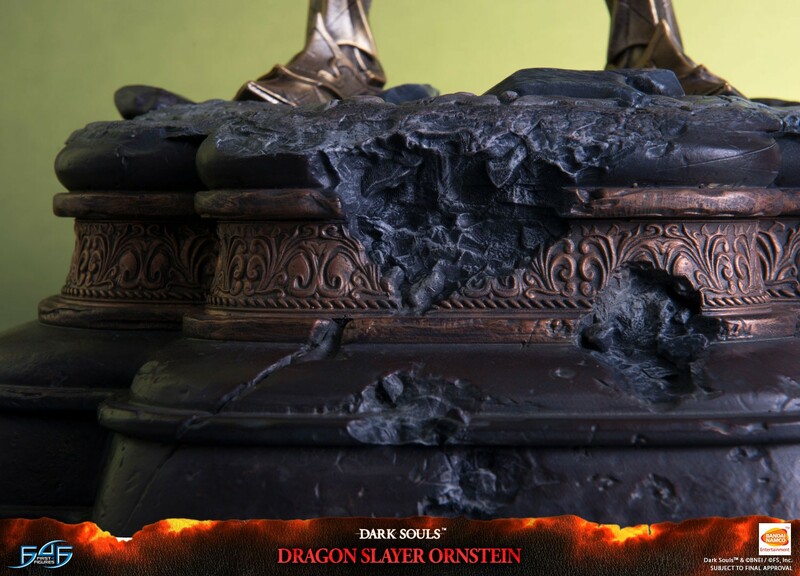 Highly detailed base inspired from the large pillars found in one of the Cathedral rooms located in Anor Londo. 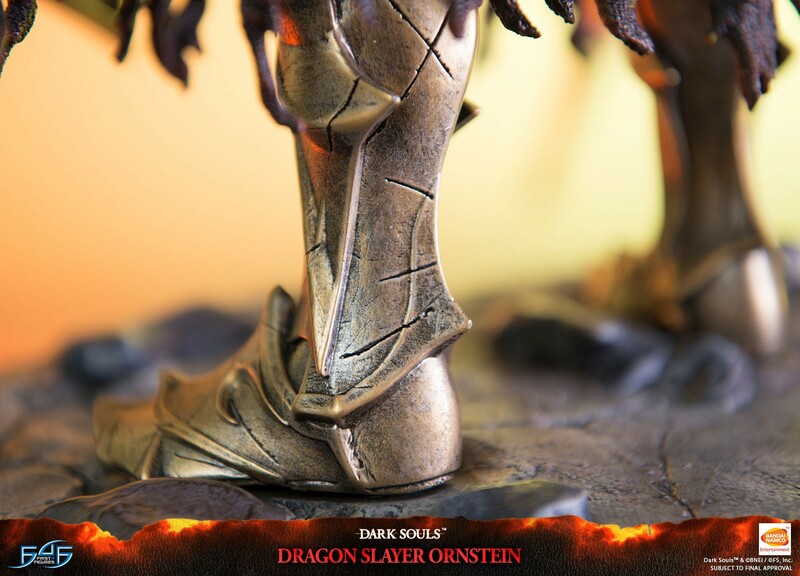 NOTE - You must come back to the website on 16th January 2018, log into your account and VALIDATE your order to confirm your chance of a low number. 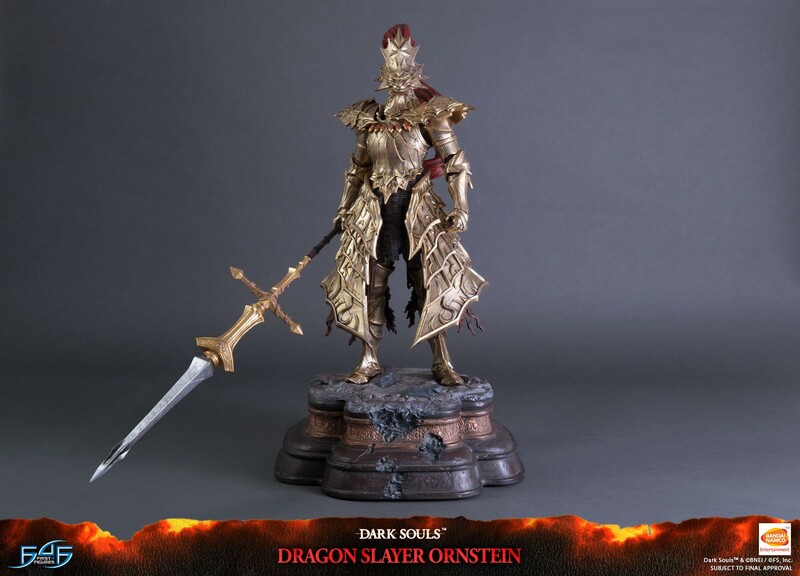 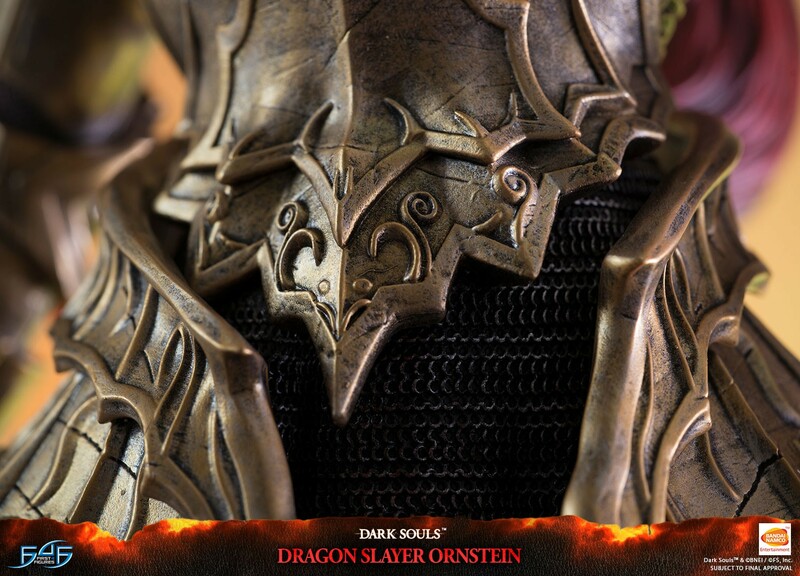 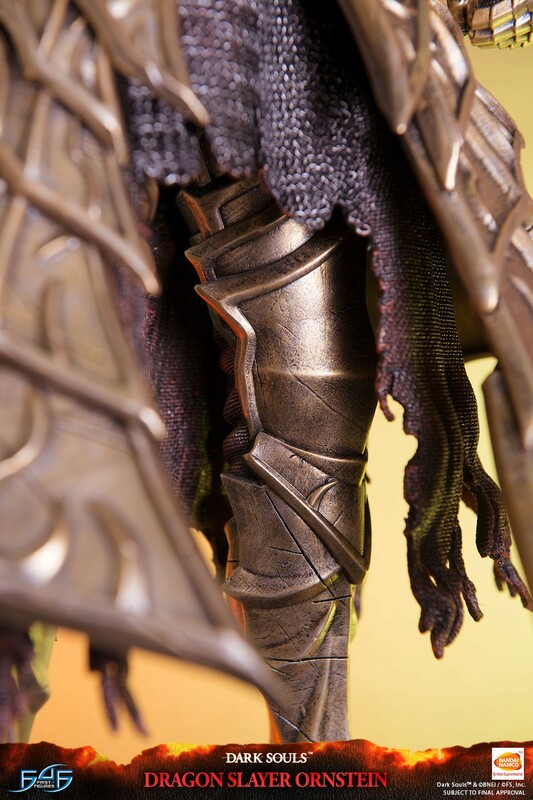 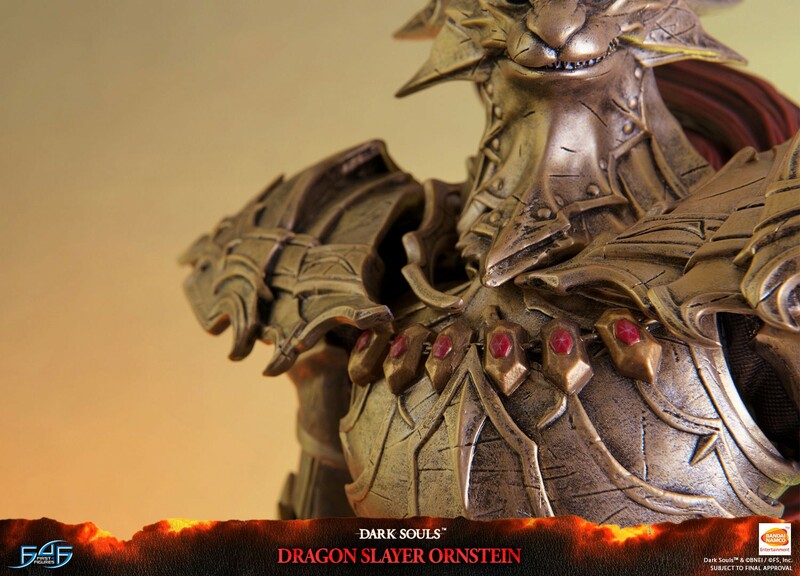 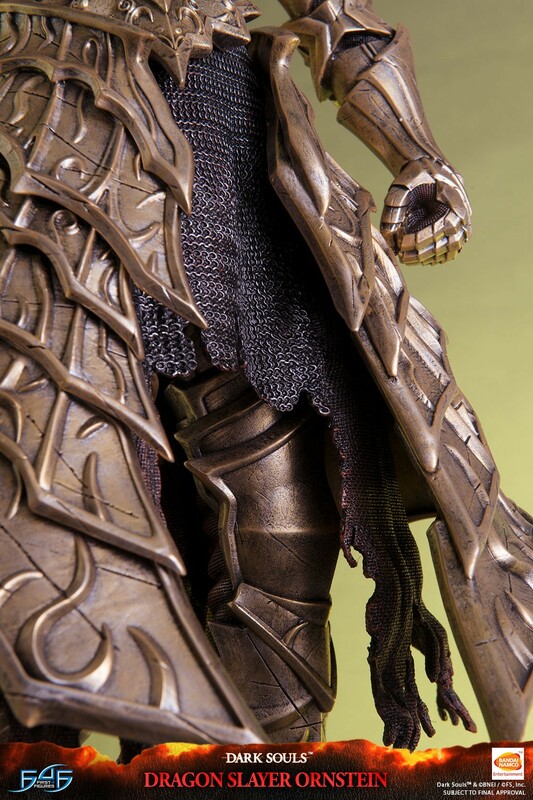 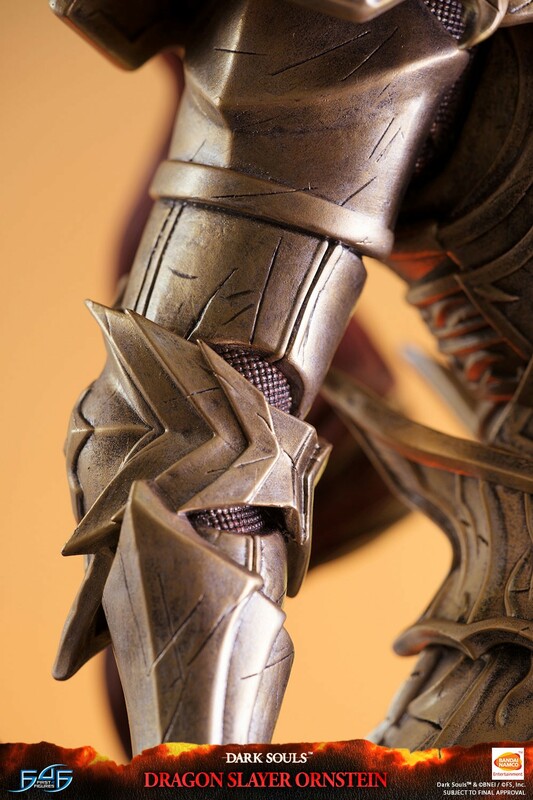 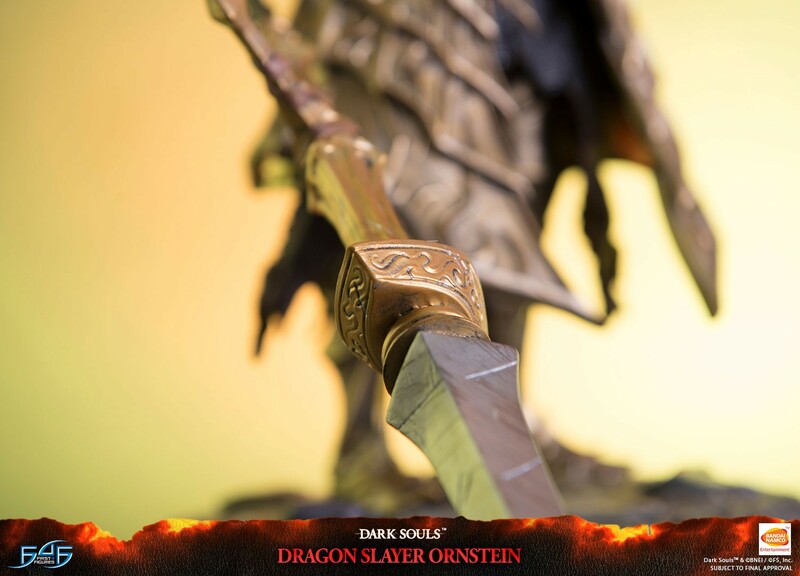 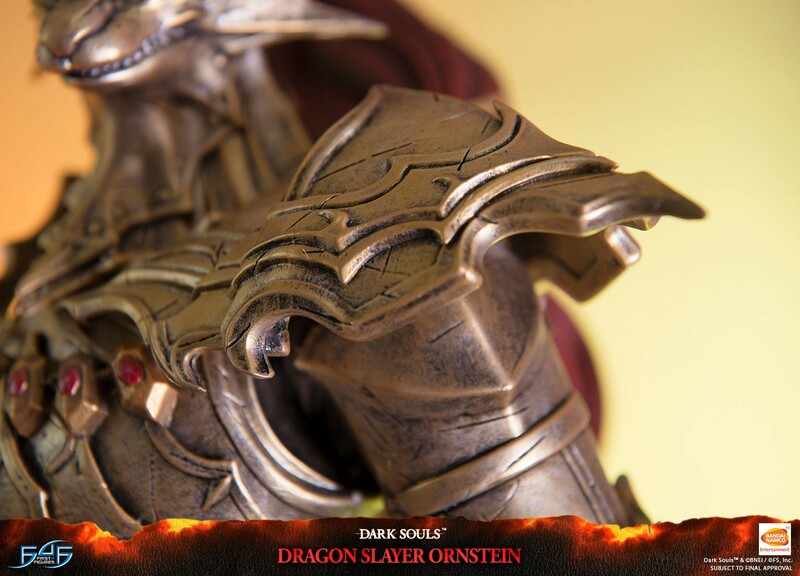 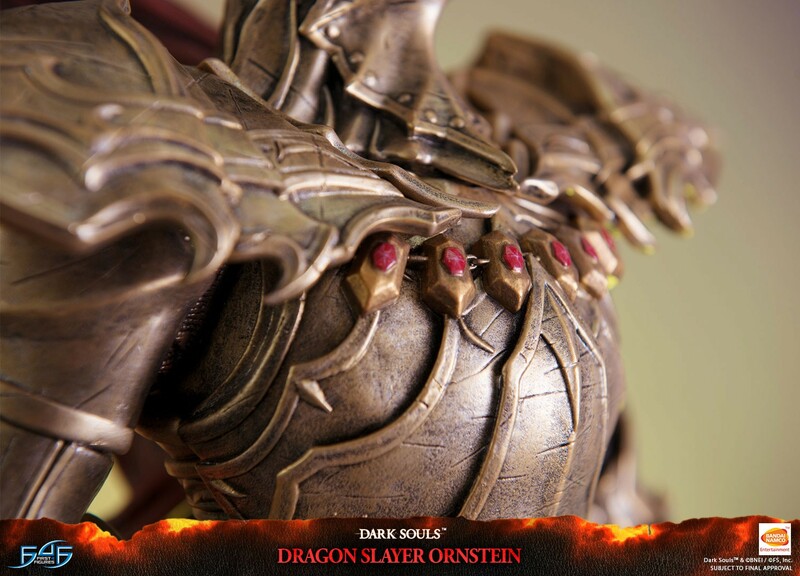 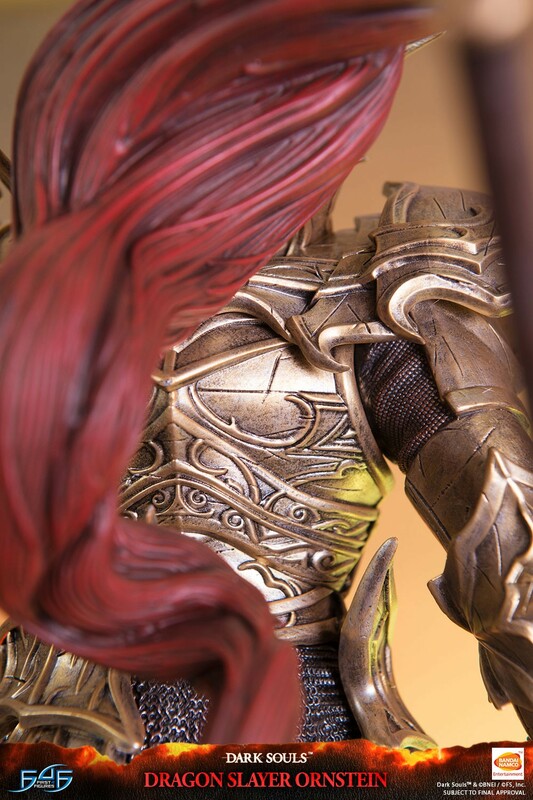 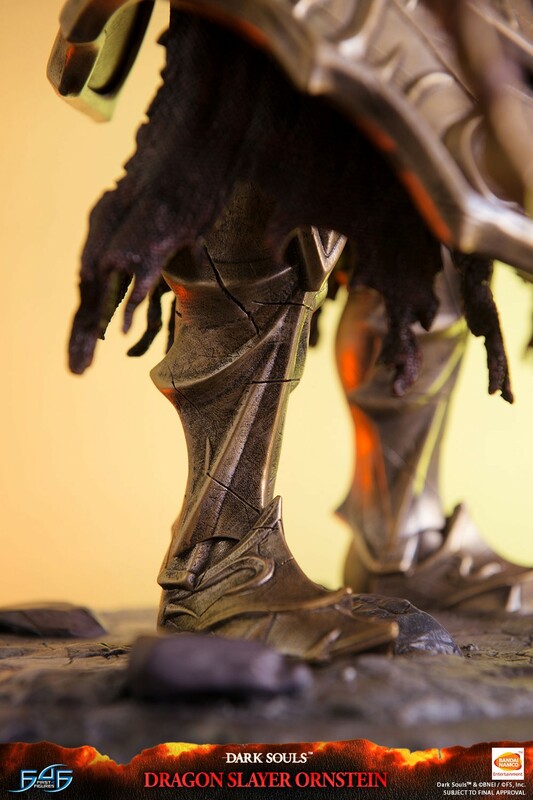 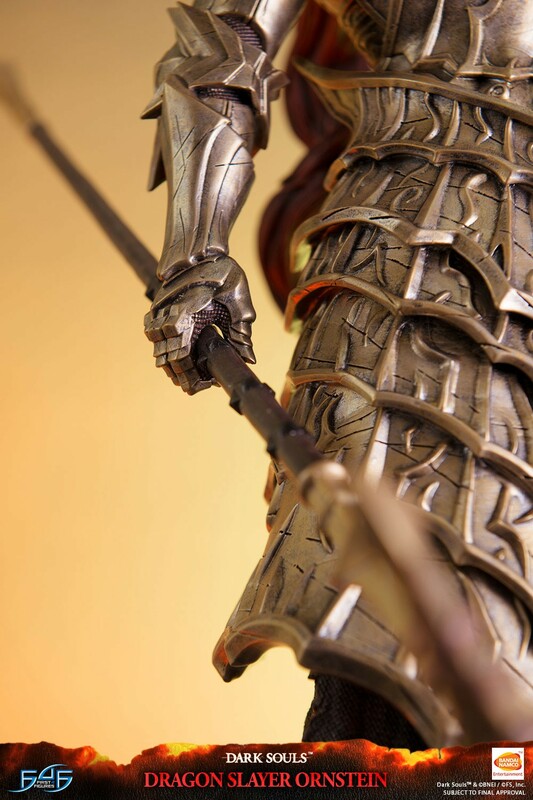 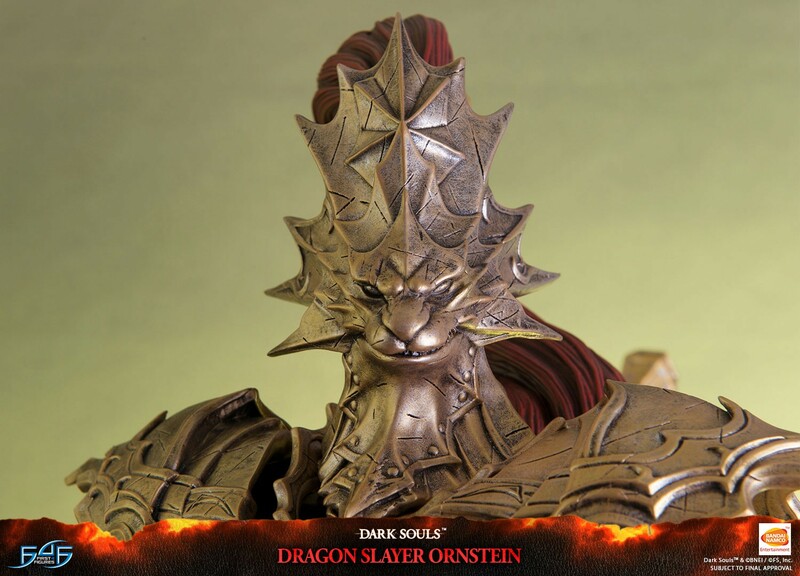 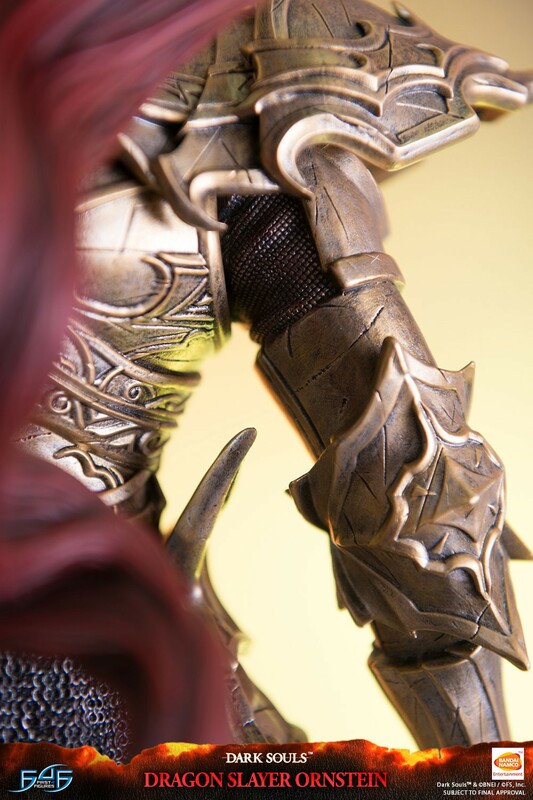 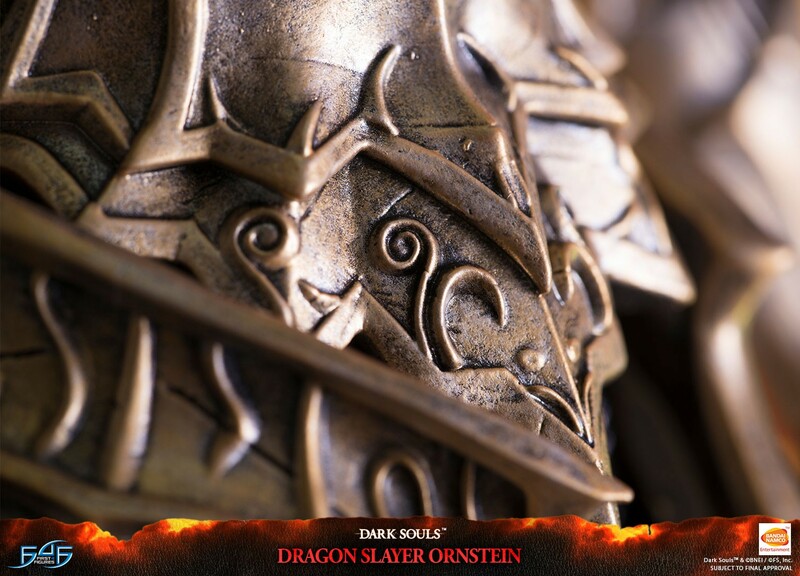 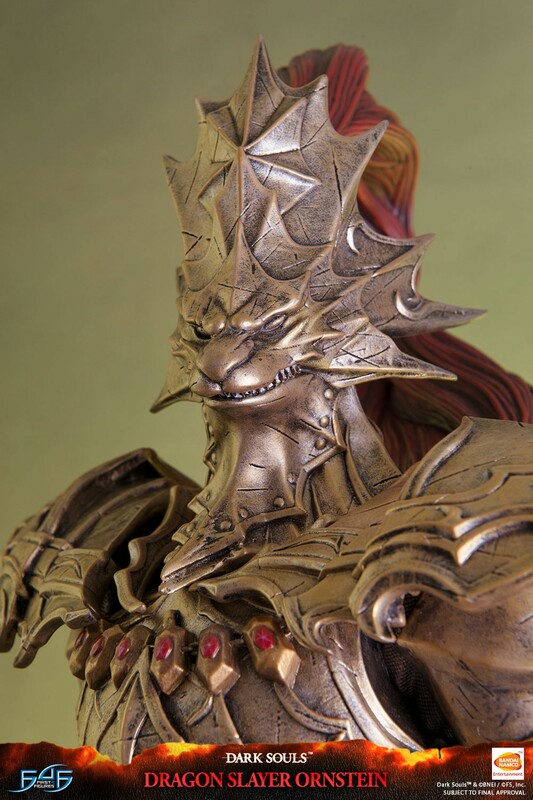 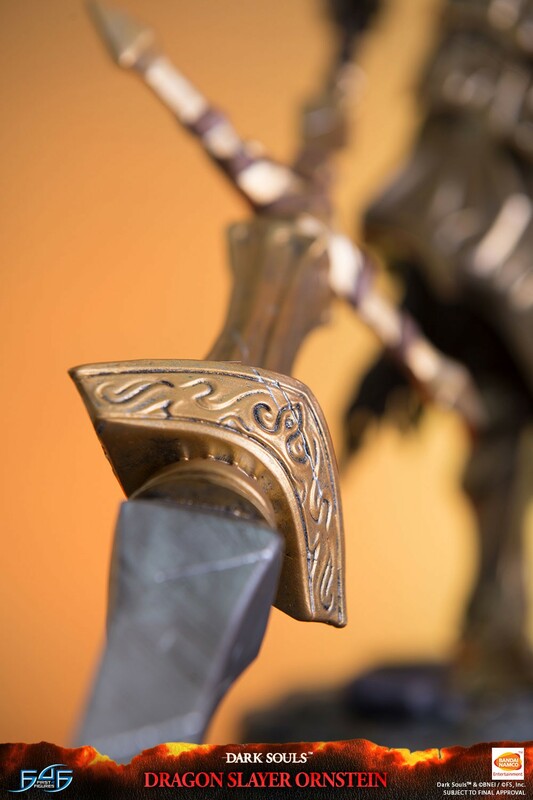 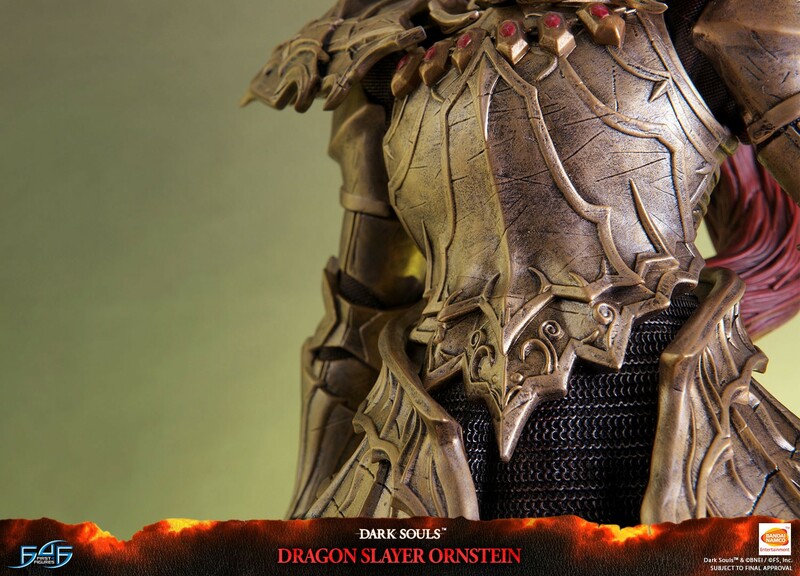 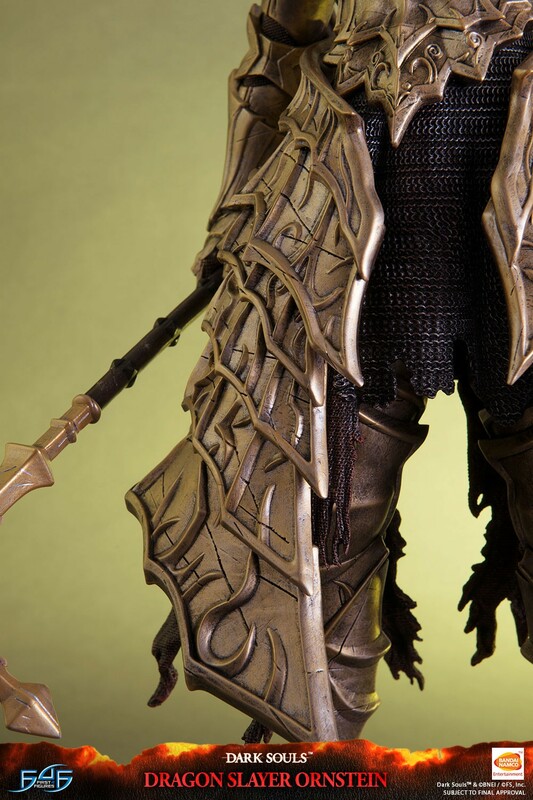 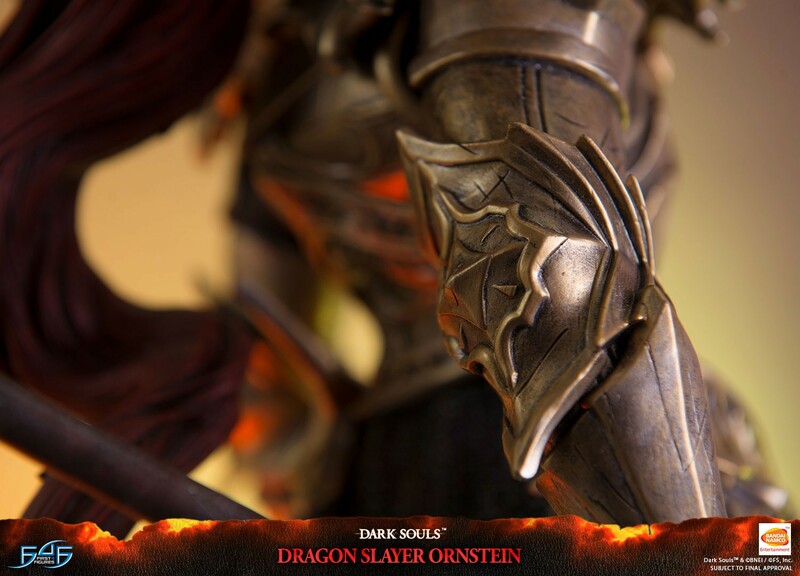 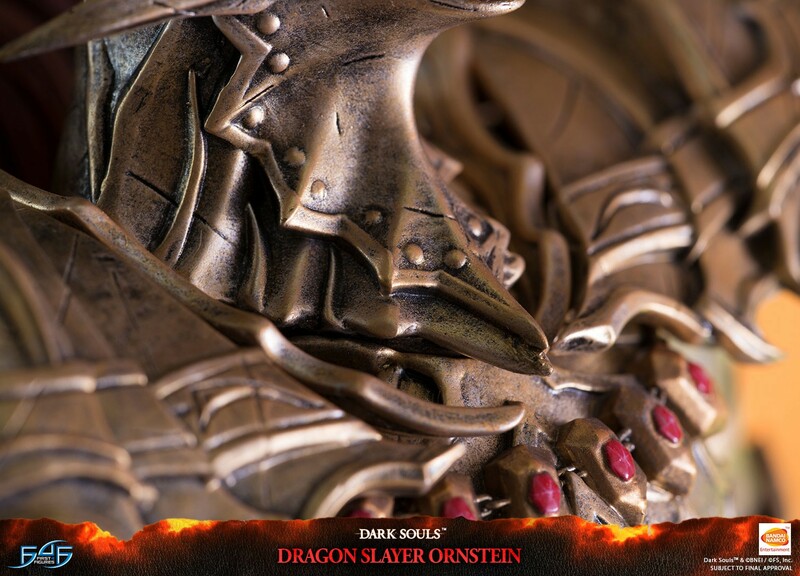 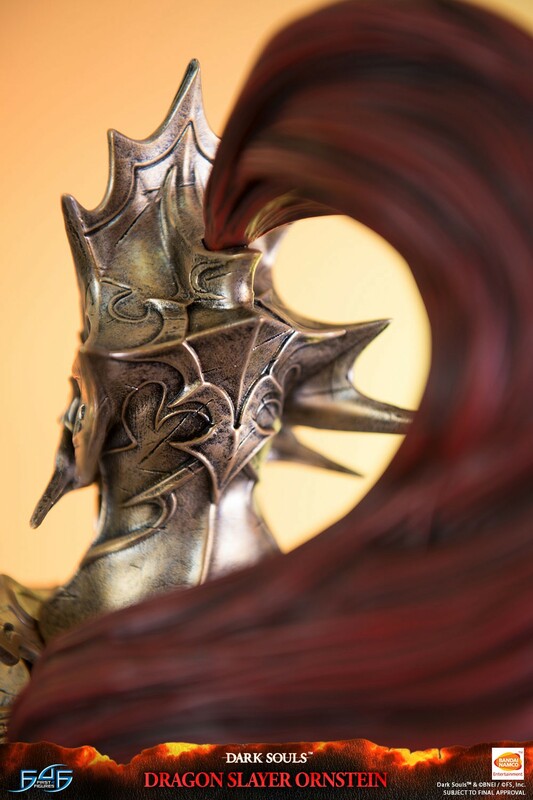 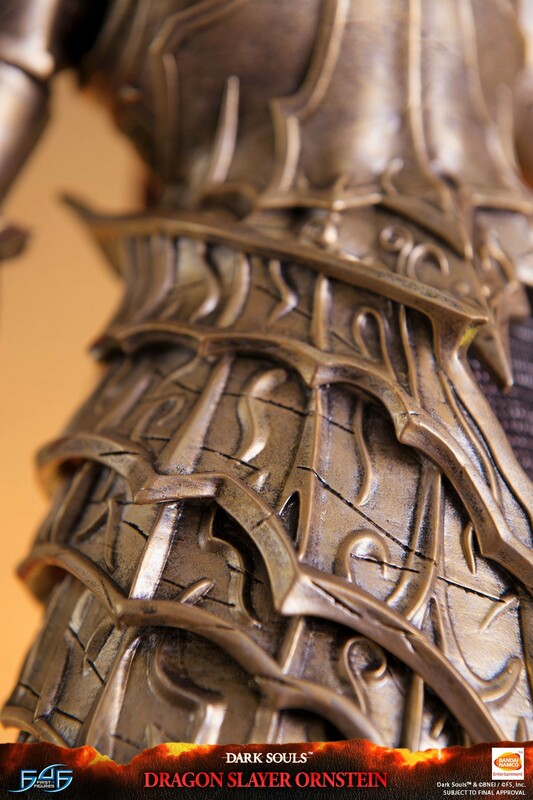 Everything you need to know (and more) about the Dragon Slayer Ornstein pre-order!